Sarcomas are a relatively uncommon type of cancer (malignant tumor) that can develop in children, adolescents and young adults. While there are many different kinds of this cancer, together all pediatric sarcomas account for less than 15 percent of childhood cancers. Many of these tumors are considered high grade: they are malignant (cancerous); can metastasize (spread) rapidly; and can recur after treatment. The aggressive nature of most types of sarcomas makes accurate diagnosis and expert treatment particularly important. Choosing a children's hospital that can offer the complete range of diagnostic and treatment resources is the best first step toward effective treatment for each sarcoma patient. Despite the small number of children who develop these cancers, the University of Chicago Medicine Comer Children's Hospital has a multidisciplinary team of cancer experts in place to provide comprehensive medical and surgical care for all types of sarcomas in babies, children and adolescents. We also care for young adults who have types of sarcoma that typically occur in children. Our team includes nationally recognized experts in pediatric oncology, radiation oncology, pathology, orthopaedic oncology and other surgical specialties. Sarcomas can occur nearly anywhere in the body where there is bone, muscle or connective tissue that surrounds bone and muscle. Pediatric sarcomas are classified into two major categories: bone sarcomas and soft tissue sarcomas. Bone sarcomas can appear in any bone, but are most often seen in the leg, arm, pelvis or rib. Soft-tissue sarcomas can occur in any soft tissue, anywhere in the body. Within these two umbrella categories, there are many different types of sarcomas that can develop in children. Our expert cancer team has been treating children with sarcomas for more than 30 years. From diagnosis through treatment and rehabilitation, all the services your child may need are right here at Comer Children's — for convenient, comprehensive and coordinated care. Most importantly, we treat patients as a team. Pediatric oncologists, surgeons, orthopaedic oncologists, radiation oncologists, pathologists, cancer nurses and other team members meet together every week to address each child's needs. Many general pediatricians, pathologists and even oncologists never encounter a rare sarcoma in their practice. Here, Comer Children's pediatric oncologists and pathologists have extensive experience with sarcomas, so they're able to recognize when a child should be tested for the disease. Sophisticated molecular testing enables our pathologists and physicians to identify the specific type of sarcoma and its key characteristics. This information is invaluable for determining the most effective treatment for each child's case. Treatment of sarcomas is very different than treatment of more common childhood cancers, such as leukemia. That's why having a team of specialists with expertise focused specifically on pediatric sarcomas can make such a difference in the effectiveness of treatment. Comer Children's offers a full range of treatment options, including promising new therapies that are available at only a few leading centers in North America, including hyperthermic intraperitoneal chemotherapy (HIPEC). Our participation in Children's Oncology Group (COG), an international research organization, gives our medical team — and our patients — access to clinical trials of new therapies that may be more effective than standard treatments. 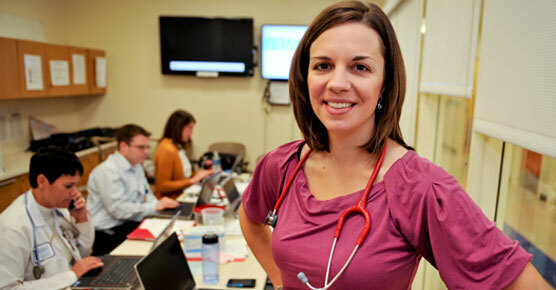 Some of our physicians serve as national study coordinators for COG trials. Some cancers considered “pediatric” might develop or recur in young adults. Whether you're five or 25, it's still best to be treated by pediatric specialists for these types of pediatric cancer. Physicians at Comer Children's extend treatment and clinical trials to patients in their 20s who have pediatric sarcomas. Our orthopaedic surgeons are innovators in using surgical techniques that remove cancerous bone and tissue, sparing much of your child's healthy bone and tissue. Treatments are tailored to maximize normal growth and long-term limb function. It has become very rare for our surgeons to have to amputate a limb. Sarcomas are relatively uncommon cancers. As such, some medical providers are not that familiar with the steps needed to make the correct diagnosis and outline the best treatment plan. Sarcomas are also complex. Their treatment must be comprehensive and multidimensional. Our pediatric oncologists, surgical oncologists (including orthopaedic surgeons) and radiation oncologists are specialists in addressing the many different types of sarcomas that can affect children and young adults of all ages. And our pathologists have the knowledge and experience to recognize even the most unusual types of this cancer. Children facing cancer often have ongoing medical, emotional, social and developmental needs. Our doctors, nurses and other health care professionals recognize these issues and provide resources and tools to help patients and families cope and stay informed. Although most sarcoma patients are cured, some may face other complex health problems as they grow older. Comer Children's Childhood Cancer Survivors Center is an integrated program aimed at the prevention and treatment of long-term health issues associated with cancer therapy.